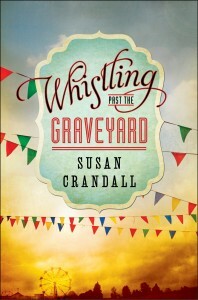 The Whistling Past the Graveyard excerpt is available now, online at SusanCrandall.net. There is also a downloadable PDF version of the excerpt if that’s your cup of tea. Start reading today! Once you meet young Starla Claudelle, you won’t be able to wait until the book’s release for more. It’s going to be a long two weeks! Whistling Past the Graveyard available everywhere July 2 from Simon & Schuster / Gallery Books.